Looking for private in-home or in-studio Flute lessons? Our Greenville teachers are ready to get you started. Find your teacher today! Check out some of our most popular teachers near Greenville, RI including Warwick, Providence, Barrington, Westborough and Shrewsbury. I've been teaching the flute for 10 years and I am comfortable working with all age groups and ability levels. Several of my students have participated in San Diego Honor Band as well as San Diego Youth Symphony. Preparation is the key to success, and I specialize in coaching students for auditions. I also focus on duets and tone studies to help you unlock the beautiful sound of this instrument. Music theory is an integral part of each lesson (as well as some basic piano concepts which can be very useful to woodwind players). Jazz conception and improvisation is also a specialty! I've been teaching woodwinds (saxophone, flute, and clarinet) for the past 15 years and enjoy the one-on-one interaction with students of all ages. Music is one of the last professions that is truly learned through apprenticeship. Having a good private teacher is absolutely essential to your growth and development! include classical, jazz, latin, pop, fusion, rock, funk, and more. I encourage all my students to enjoy exploring the SOUND of their instrument and to find their own voice. Lessons include everything from reading and basic stylistic concepts, to improvisation, learning songs, playing along with recordings of your favorite players, and jazz transcription. I am a graduate of the University of North Texas Jazz Studies program and have over 15 years of teaching experience. I'm currently adjunct faculty at USD Dept of Music, Mesa College, and have taught as a clinician/coach for numerous high school and middle school programs. In the past I’ve had the opportunity to study with many inspiring musicians and I enjoy passing on the tradition to new students! Ian is a great teacher. Very encouraging, skilled and helpful. I learned a lot in an hour and I think I have already improved. Can’t wait to practice what he taught me. And looking forward to next week. Ian is kind and supportive. He's making sure I get good habits and technique from the start. I am a beginning Tenor Sax student and a senior citizen. I have played other instruments years ago, but never a woodwind instrument. Ian has been a marvelous instructor for me. Although I had never picked up a sax until December 2014, he already has taught me how to play several simple tunes and a number of scales. His patience and sensitivity to the appropriate pace is impecable. He also keeps me informed of other activities - concerts, recordings, community events to reinforce my interest. I would recommend Ian as a music teacher to anyone without reservation or hesitation. I've been teaching Flute for 15 years and my students have gone on to College, and other performing goals.I use a variety of books from the typical book you would use as a student in a band program to a more advanced method for other players. Each student is different so I try to evolve to meet their specific needs and learning styles. I love working with students of all ages and experience levels and I can't wait to meet you! As a flute instructor w/ over 10 yrs. experience, I train from beginner-conservatory level and tailor to YOUR goals! WE can achieve anything TOGETHER! As a music teacher, I want to help you find and develop your innate musical talents! Through finding and developing your potential, I believe we can start this journey together! I hired Paul last November to help my daughter, Kara, with her middle school NYSSMA audition. Paul assessed my daughter, asking her to play a song she already knew and took notes on what she was already good at and what to improve on. When Paul taught Kara her NYSSMA solo, he was very meticulous, paid much attention to Kara's playing, and taught her techniques on how to correct certain mistakes and methods on how to improve what was already good to make her stick out. On the date of her NYSSMA audition, she was very confident, got a perfect score, and made it into the All-County Band :). I could not recommend Paul more. His experience and methods of teaching technique especially caught my eye, and is what differentiates him from other instructors. He is very patient, kind, honest, and sits down with you to set realistic expectations and goals and how to achieve them. I still book him today for my daughter who is now in High School and has even made All-State Bands because of Paul. He may be in college, but he has music wisdom way beyond his years!! 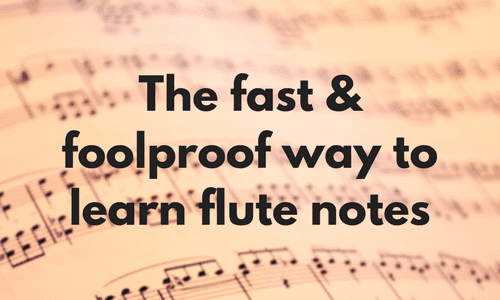 I offer flute lessons for the beginner-intermediate student, where together we'll work on scales, breath support, basic theory, and repertoire. Lessons should always be fun, so we forget that we're secretly working so hard! I am currently pursuing a Master's in Flute Performance at the Indiana University Jacobs School of Music under the tutelage of Kathryn Lukas. I have a very gentle and positive demeanor, and I am skilled at assessing the needs of my students and helping them to create richer music and love the process. I have pedagogy training from Prof. Lukas who herself has been a successful educator for several decades. 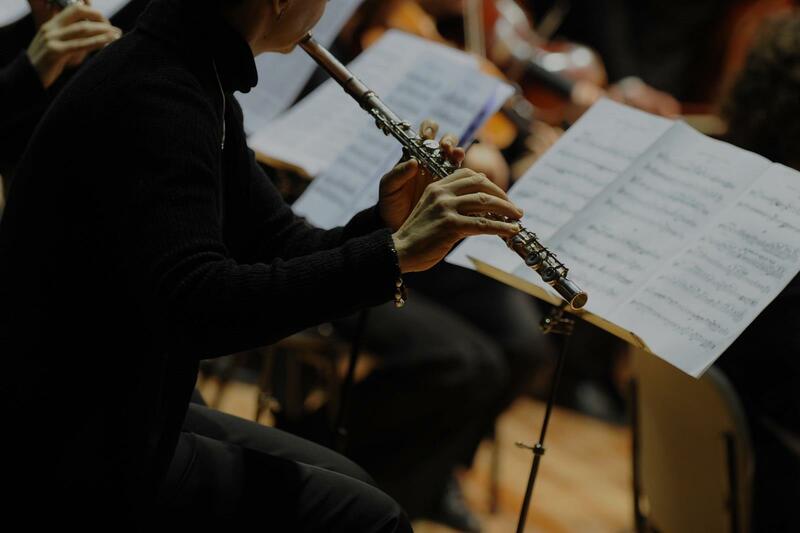 I have been playing flute for over 16 years and have much experience in core technique development, major repertoire, understanding and communicating musical concepts, and performing in different modes (i.e. solo, ensemble, chamber, etc.). Hello, my name is Severin. I am a master's student in flute performance at the Indiana University Jacobs School of Music in Bloomington, IN. I am originally from Chicago, IL, where I was able to have a very rich experience of the arts growing up. I am often told that I have a very gentle, calm, and positive demeanor, and I am generally able to communicate well with people of all ages. I hold a Bachelor of Music degree in Flute Performance from Indiana University, where I studied with Kathryn Lukas, with whom I am also currently studying for my master's. I have experience with a wide variety of repertoire, including Romantic, Baroque, Classical, Contemporary, and Popular. In my own playing, I focus more than anything else on making music for the sheer joy, love, and thrill of it. I am very excited to get to know you, future student! Can't find a teacher in Greenville, RI?